Sometimes I hire a motor vehicle. They are really useful for some journeys. Depending on the load, the number of passengers and the distances involved hiring can be cheaper and simpler than the alternatives. So far this year I have hired two cars and two vans. The best part is being able to take them back and hand over the responsibility but this year I have had the extra pleasure of being able to drive around Bristol at 20mph. It’s such a civilised speed in a busy city. On a journey of three or four miles within the city the time involved in not racing up to 30 where the rare opportunity arises makes so little difference that it’s irrelevant. Rushing is a waste of adrenaline. The pleasure of driving more slowly is being able to consider each section of the journey as an experience in its own right, paying attention to junctions, side roads, other roads users and the unexpected things that always crop up. 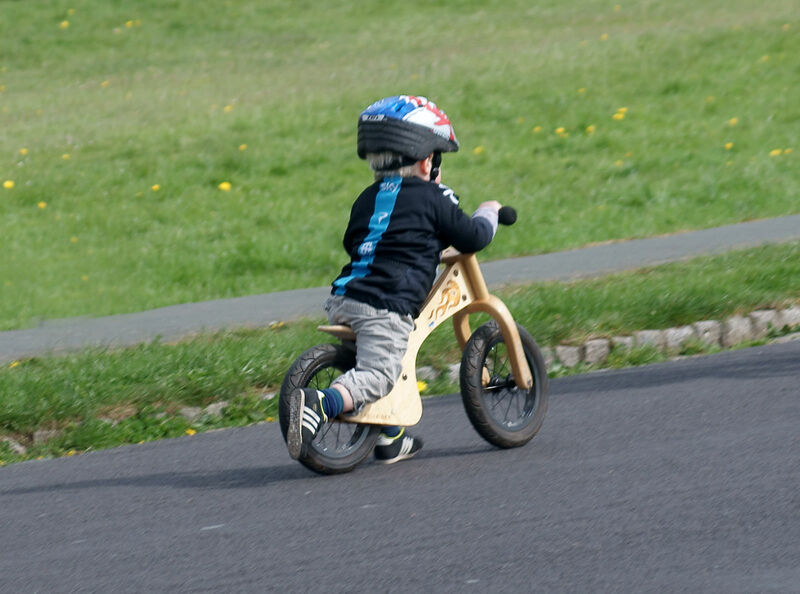 Hard acceleration and sharp braking become unnecessary. All manoeuvres become stress-free events. Smiling becomes common. Other drivers seem to be mellower and less likely to get too close behind. The general idea seems to be that the whole of Bristol will soon be a 20 mph city and the very thought of it is a source of pleasure. My usual cycling and walking will be much improved. I note that I have missed yesterday’s deadline for submission of the following comments. I hope, nonetheless, that you will be able to take them into account. Although I live just outside the inner north area, I travel into or through it on a regular basis – usually on a bicycle and sometimes on foot. I have one clear objection to one aspect of the plans for the Inner North Area and that is that too many exceptions have been made to the principle of a blanket 20 mph limit. 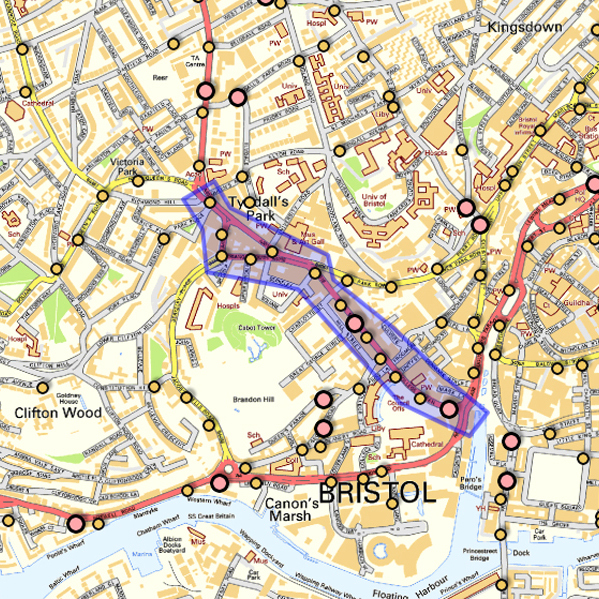 As I understand it, the designation of a few roads as 30 mph was to allow some arterial or through routes to be treated as different enough in character and capacity to distinguish them from the residential, local and shopping streets that made up a lot of Bristol’s road network. When I look at Upper Belgrave Road, Clifton Down, Bridge Valley Drive, Church Avenue, Bishops Close, Stoke Park Road South, Downleaze, Stoke Hill, Stoke Road, Roman Road, Downside Road, Pembroke Road (especially near its junction with Clifton Down) and The Avenue. I see roads that are either residential streets (not motor vehicle routes at all) or roads that are immediately adjacent to and part of a wide area of residential and recreational use. Allowing short sections of them to be 30 mph will save tiny amounts of time and serve mainly to introduce uncertainty and anxiety for those large numbers who are not in motor vehicles. The Downs area in particular has very large numbers of runners, walkers, football teams, zoo visitors, cyclists and sight-seers crossing and re-crossing the roads between the grassy areas. Ball games, dog walking, fitness training and other activities are frequently in play. All these things suggest to me that all the roads that service and pass through the area should be treated in the same way, and for the same reasons, as all the roads that will be improved by the 20 mph limit. If the case for 20 mph makes sense (and I firmly believe it does) then it makes the same good sense on these roads as well. I would also agree with many other commentators that the more unusual or contentious exceptions there are, the less likely it will be for other areas to get the full benefit of calmer and less dangerous motor vehicle traffic. I would also argue that Kellaway Avenue would benefit greatly from a 20 mph limit. I see that, as with Stoke Road and the junction of Clifton Down and Pembroke Road, Kellaway Avenue has been a site of notified road traffic accidents. 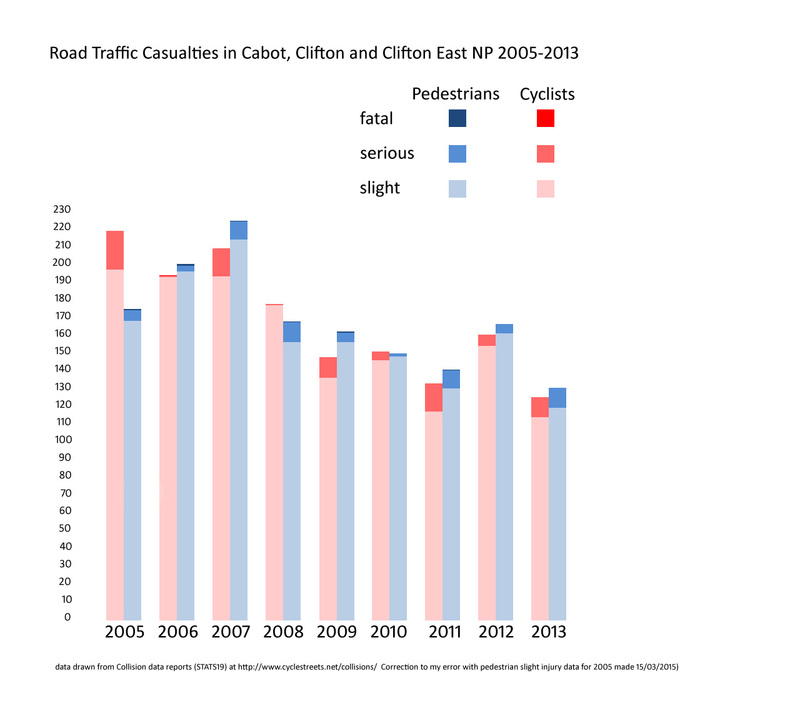 Lower speeds would (as evidence available to the Council shows) reduce the number and the severity of casualties. As your comments have been received outside the consultation period we regret to inform you that they will not be included in the objection report for the proposed Inner North 20mph speed limit scheme. For future consultations please ensure any comments or objections for consideration in an objection report are submitted within the advertised period. I hope there is a sensible outcome. Fingers crossed. Considerate Cycling 39: How much cycling is there in Bristol? With the publication of the Bristol Cycling Manifesto “Freedom To Ride” and the launch of a petition to support it, I have been having lots of conversations with people in Bristol about our hopes for big increases in the number of people who choose to cycle. Questions about how many people already cycle, and how many used to cycle crop up regularly. So what data have we got, and how confident can we be with the numbers? The most up to date figures that cover the whole of Bristol come from the Active People Survey. This is a household telephone survey run by Sport England that enables us to make national and local comparisons. Reports and data from 2010/11 and 2011/12 are available on the UK Government publications site. Samples of about 500 households in each local authority are used for this survey so we can be confident that actual numbers revealed are within a couple of percentage points of the numbers that would be gained from polling all households. Each of the following graphs compare percentages in Bristol with those in neighbouring authorities and in the other “core cities” of England that Bristol would see as its real peers. Figures for adults who say that they cycle at last once a month (for any reason) and for those who say they cycle at least once a week (for any reason) are shown here. It’s important to note that these are people who cycle “for any purpose”. Leisure, fitness, commuting, shopping, company … anything. Cycling is an activity in its own right, it’s also a means to other ends or places. But that’s journalism for you: mere fingers pointing at truth, not the truth, or the whole truth, every time. Detail and caution are needed too. A recent blog from Chris Mason at Cycle Jump looked at National Census data. The Census gives us detailed information about every household every ten years and its summary tables can be explored at fine levels of detail. Chris was able to use mapping tools to illustrate patterns of commuter cycling among residents of small areas across the City. This time, comparisons are between 2001 and 2011. The most striking figure that Chris gives is that in 2011 7.7% of adult Bristol residents reported that they usually cycled to work. The Census data can be interrogated in a variety of ways. For the graphs that follow I have compared the same set of cities and neighbours as above, but I have recalculated a percentage figure that shows what proportion of those adult residents of Bristol who did go out to work normally used a bicycle. In a blog in February 2013 I compared levels of cycling to work against other modes, using a different base for the calculation. Figure 5 represents, I think, a conservative indication of the proportions of Bristolian commuters who usually cycled to work in 2001 and 2011. Looking at these numbers and the numbers who use bikes for other purposes any city planner with an eye to congestion and pollution targets (never mind public health and general well-being) should be accelerating plans for putting a big chunk of every transport or development project into meeting the existing demand for cycling and (as happened with car use) encouraging it to grow even faster than the infrastructure. Getting more benefit for less resources really shouldn’t be a dilemma for local authorities. Their citizens who are trapped with no alternative but the car will at least have roads that are less congested if cycling takes more of the pressure. Those who simply like driving to work will enjoy it more and find it safer. The eager headline from the Census data could justifiably have been “Bristol cyclists increase their share of commuting traffic by 113%!! The important thing is that there are already plenty of people who would cycle if it looked less of a challenge, people who already have bikes which they really do use on a sporadic basis. Making it easier for them to cycle to work should be an easy priority to establish. Indirect outcomes would proliferate. 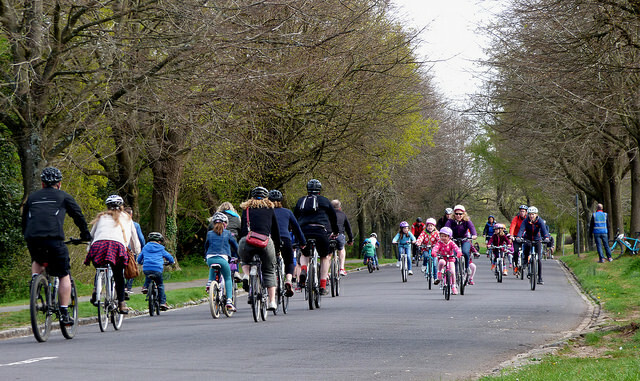 The school run, for example, could more easily become a family run on the bikes. All that is preventing the next step change is lack of courage to make it happen. 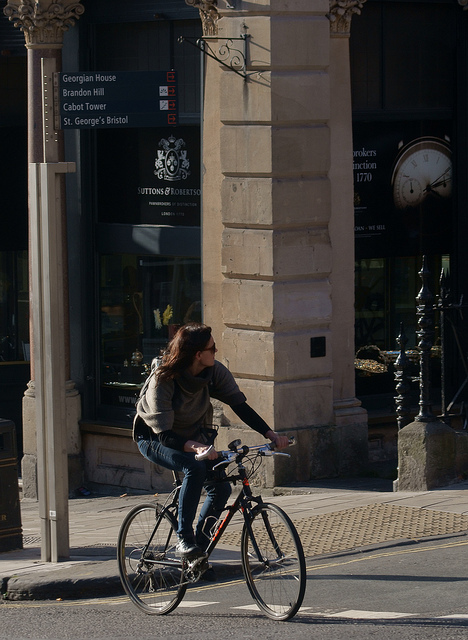 On census day in 2011 16,211 Bristolians said that they usually cycled to work. (1 in 12 of the 104,729 who traveled to work at that time). A telephone survey for HM Government indicated that in 2012 nearly a quarter of adult Bristolians cycled at least once a month for one reason or another. That’s about 100,000 of the adult population of the City. Bristol City Council Data collected by observers between 2010 and 2013 show that at peak times there were over 10,000 cyclists on Bristol roads. 7% of all city traffic measured at these times were cyclists. Across the city, some routes carry 300-500 cyclists per hour. At four busy points on roads into the city cyclists constitute over a quarter of all traffic during peak hours. The Ward with the highest proportion of workers cycling as part of their daily commute is Ashley, with 1,381 cycling (17% of those travelling to work from the Ward). The Ward with the lowest proportion of workers cycling as part of their daily commute is Whitchurch Park, with 102 cycling (2.3% of those travelling to work from the Ward). Prince Street runs North-South and crosses one of Bristol’s several waters on a swing bridge, helpfully known as “Prince Street Bridge”. The bridge is guarded by traffic lights and is sometimes closed to all traffic (even bicycles) and swung round to allow boats to pass along the channel. The first picture in this sequence, with its bright yellow bendy bus, looks north from the bridge itself. Local political processes are currently struggling to decide on how or whether to make this bridging place part of a new scheme for bottling quarts of travellers into pints of road space. My narrower interest in Prince Street Bridge is in the pedantic but immediate question of how I should use it as a considerate cyclist. Let’s imagine I am crossing it from the south. Picture 2 shows my approach. Ahead of me is a blocked advisory cycle lane, traffic lights, swing bridge lights, some cast-iron bollards and a Shared Space sign. A black car has moved across the centre line and is waiting for a green light before moving into the right hand lane and crossing the bridge. Inching past the parked van, another vehicle is parked in front of it. The black car is still waiting for the green light to cross where oncoming vehicles are currently moving. My cycle/pedestrian route seems to be between cast-iron bollards. I notice that the bollard directing the car is plastic and well-lit. Moving up to the line I see that another cyclist is using this side of the bridge and that the road-painted symbols indicate pedestrians and cyclists can use the whole lane. Looking back I can see the end of the advisory cycle lane emerging from underneath the van and car. On another day that would be the approach I should adopt. I also note the wisdom of high-visibility clothing. Picture 6 show the view from the opposite side of the bridge. It looks south. Traffic lights and bollards reflect those on the other side. There is an advance stop line for cyclists to get ahead of the pack. but it is not very clear. The bike symbol itself is very faded. Looking back there are marks leading up to the bridge that might once have been an advisory cycle lane across the cobbles. Back at the junction we can see a hint of a bike symbol on the tarmac that might confirm the hypothesis. The row of bollards is impressive. Its lack of reflective properties rather less so. Let’s see how a cyclist negotiates this northern approach. While his mate has cut across early, a second cyclist, pushing a third bike, is manoeuvring towards the lethal bollards. A motor cyclist is waiting at the white line in front of the traffic lights. And a final hurrah from a determined pavementeer. Wobbling past me ( I was standing on the footpath) he wobbled off into a happy cluster of pedestrians. The conclusion I draw from this (and so many episodes around Bristol) is that many accommodations have been made for cyclists at the expense of creating further conflicts that can only be resolved with ingenuity and/or unpredictability. It would be nice if the next wave of progress is done with reference to guidelines that have this kind of muddled situation designed out.